What is the best way to ensure a comfortable and enjoyable retirement? This week, I thought I’d share some observations I’ve made over the years about employees who end up with the same (and sometimes even greater) income during their retirement years than while they were employed. These folks have been planning for retirement throughout the beginning, middle and pre-retirement stages of the federal careers. I sometimes meet employees who tell me they remember me from a retirement planning class they attended 20 years ago. For those covered under the Federal Employees Retirement System, the Thrift Savings Plan has played an important role. These people have learned how to invest for the long term and what it means to diversify their investments among the G, C, F, S, and I Funds—or used the L Funds to automatically shift their investments as their careers progress. They have learned to tolerate a certain level of risk in order to obtain maximum results by not reacting emotionally to swings in market conditions. Those in higher income brackets are saving the maximum in their TSP accounts. The maximum employee contribution for 2019 is $19,000 plus an additional $6,000 in catch-up contributions if you’re turning 50 or are already older than 50. Those in lower income brackets are living with little or no consumer debt and have saved a minimum of 5 percent of their salary in the TSP. In general, they haven’t borrowed from their TSP account—or if they have, they didn’t stop contributing while repaying their loan balance. 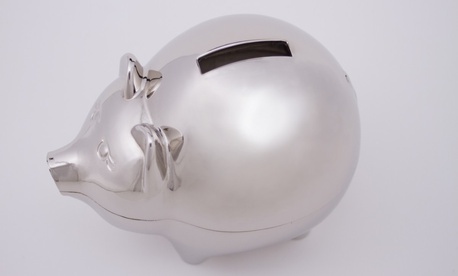 The TSP was designed to be an integral part of FERS, but many employees under the Civil Service Retirement System also have taken advantage of participating in the plan and putting away savings on a pre-tax basis. They now have a significant nest egg for retirement. They weigh the value and cost of the spousal survivor benefit election. This causes a reduction in your CSRS or FERS retirement of about 10 percent, but it can mean the difference between financial security and uncertainty for a surviving spouse. They consider that a delay in claiming Social Security may be more important to a future surviving spouse than to a couple’s short-term need for income. You may have other options than taking Social Security as soon as you can: delaying retirement, taking larger TSP distributions while waiting to claim Social Security, or embarking on a second career for a few years after your retirement from government. The difference between claiming at age 62 and waiting until age 70 is a benefit that is about 75 percent larger for the rest of your life and possibly later to the life of your surviving spouse. They’re wary of using life insurance as a substitute for a survivor benefit. Life insurance is very expensive to continue as a substitute for a survivor’s annuity. Life insurance also doesn’t carry a cost of living adjustment or a guaranteed lifetime payment stream. And life insurance is not protected under the spouse equity provisions of the law, so it can be canceled without spousal consent. Single people who have successfully planned for retirement have considered the amount of income they will need for a retirement that could potentially last longer than their career. This means both adequate retirement savings and thinking about such considerations as the potential need for long-term care. If you’re a single woman, you may have a longer life expectancy than your male counterparts, and you also may have had lower lifetime earnings. This could translate into a need to save diligently for retirement and become a savvy investor. You need to put yourself first to ensure your financial independence before helping others. Those who have successfully managed the retirement preparation process have another thing in common: They’re realistic. They, may, for example, limit the financial assistance they provide to their children in retirement to protect their savings. And some of them find that working a little longer than they anticipated eases the future financial strain. Sometimes following the path to a comfortable retirement involves some hard choices.